Marine plankton communities contain a huge number of distinct species, such as these protists observed by the Tara Oceans expedition at the ocean surface. Although the composition of such communities varies considerably from place to place, the decay in abundance of the rare species that comprise 99% of local richness follows the same power law everywhere. Image by Noé Sardet and Christian Sardet. Cover design by Bethany Vukomanovic. 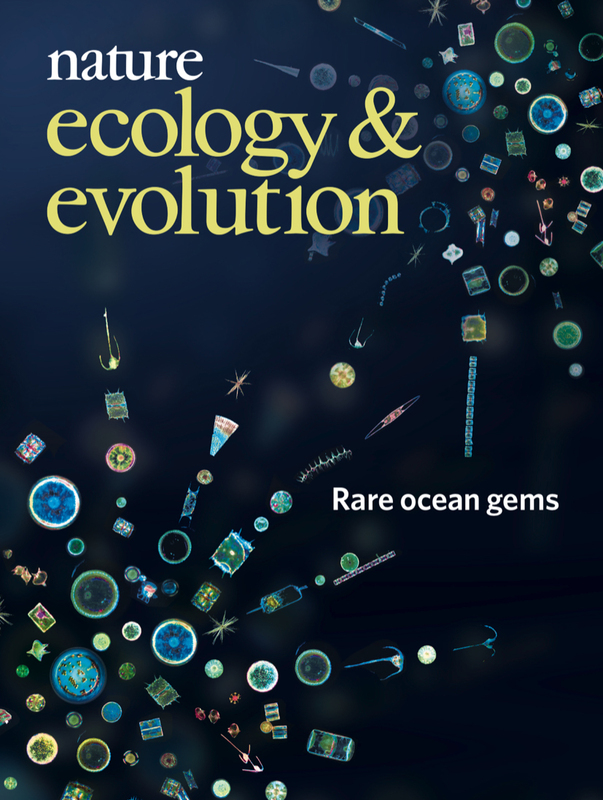 From 'Ubiquitous abundance distribution of non-dominant plankton across the global ocean'. Ser-Giacomi et al. Nature Ecology & Evolution 2; 1243-1249 (2018).